Over 30 years ago, a travel company was established with the mission to give tourists an off-the-beaten-track experience across Israel. 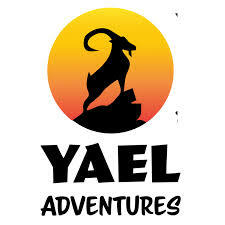 It was named Yael Tours; Yael meaning Ibex or Mountain Goat in Hebrew – an animal that roams freely across the countryside exploring the beautiful nooks and crevices of Israel. When Yael Tours was offered the chance to provide this experience to the young Jewish Diaspora, the team jumped at the opportunity to share the gift of Israel. Yael Adventures was born and has been providing unique Israel experiences to Jewish Youth for over 10 years, with a commitment to authenticity and discovery.